A 5.2 magnitude earthquake has struck off the coast of Guatemala. The seismic event comes just hours after the eruption of the country’s Fuego volcano which killed 69 people and forced thousands to flee their homes. The quake was recorded 65 miles (105km) south of Champerico, a district along Guatemala’s southwestern coastline, according to the US Geological Survey. With the earthquake’s epicenter out at sea and close to an oceanic trench known as the Middle America plate boundary, it’s not immediately clear whether any damaged has been caused to homes or infrastructure on land. The quake comes as explosions could be heard coming from Guatemala’s Fuego volcano throughout the day Monday, covering local communities in volcanic rock and ash. At least 69 people are now feared dead in what is the largest eruption seen at the site since the 1970s. “We have 1,200 people doing rescue work,” Morales told the media Monday. 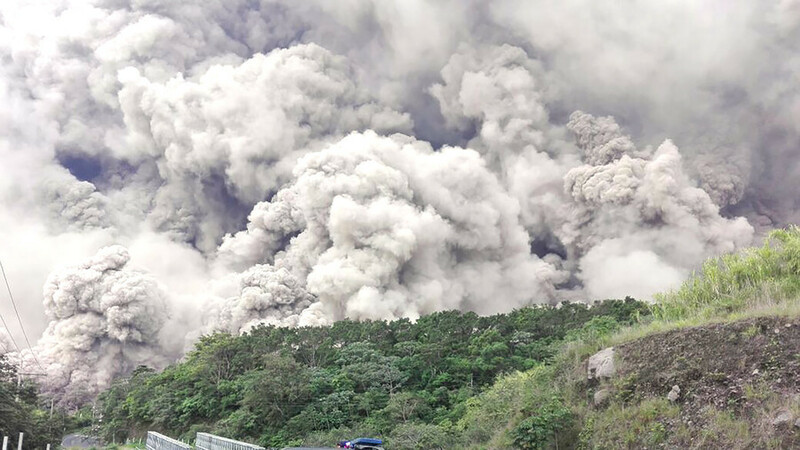 While activity at the volcano has decreased since Sunday, the agency warned of fast-moving flows of gas and volcanic material in ravines close to the mountain. The seismic activity also increases the potential for the ground in the area to be unstable. Aerial footage released by the government of Guatemala reveals the devastation caused by the eruption. In footage shot from a helicopter, areas of countryside and residential houses are seen buried beneath heaps of burning ash and soot.